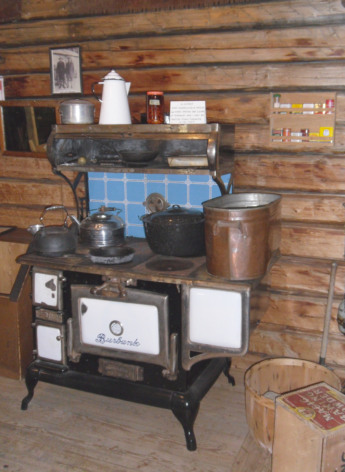 This cabin was donated by Art Anderson and became our first museum. Hugo and Art Anderson acquired registered traplines on the James River in the Forest Reserve southwest of their home in 1933. They operated these lines every winter until the spring of 1943. In recognition of their trapping days furs have been placed in the cabin. This building was the original Caroline Museum.